The Winchester Mystery House, one of America's most legendary haunted mansions, announces the return of its Hallowe'en Candlelight Tour, with new, expanded dates and frights for 2018. Growing from 20 nights to a fright-filled 26 evenings this year, the tour offers a unique way to experience a Halloween walk-thru attraction with all new story, a longer tour route, and the biggest scares yet. In a chilling and Gothic atmosphere, guests to this immersive experience have just themselves, flickering candlelight and their imagination to guide them through the storied 160-room Victorian mansion noted for its "activity." On sale mow at winchestermysteryhouse.com. This event is extremely popular and advance ticket purchases are highly recommended. On this distinctive tour, candlelight provides the only illumination through the bewildering maze of rooms, frozen in a state of arrested decay or still resplendent in Victorian grandeur. Guided by a chilling caretaker, guests will wind their way through the labyrinth of a home to experience 13 mystical doors purchased by Sarah Winchester, all of which contain a power all their own to consult and speak to the other side. Be wary of dark magic and souls that may want to come back to this realm. 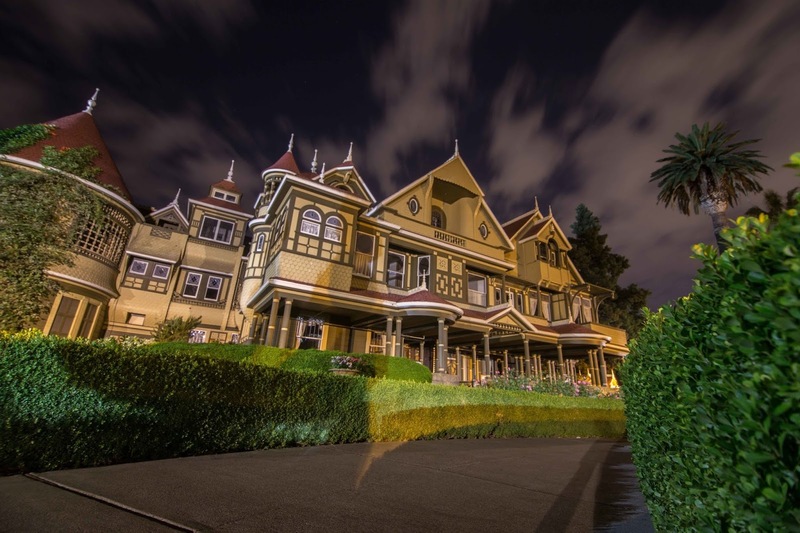 "Last years' incredibly popular tour proved that we could entertain guests in a thrilling, theatrical way of showing the paranormal side of Sarah's story," Walter Magnuson, General Manager of Winchester Mystery House, said. "Nearly every night was sold-out so we have not only added 6 more nights but, of course, have added even more frights and surprises to delight our guests." The nighttime, theatrical tour of the intimidating mansion will give guests the opportunity to let their imaginations run wild. Guests are sure to punctuate their visit with nervous exclamations of "Did you hear that?," "What's that in the corner?" and "Do you see what I see!?" "During the candlelit visit some kind of paranormal force will definitely be awakened within the house, much to the shock of guests on the tour," Peter Overstreet, one of the successful directors at the Great Dickens Christmas Fair in San Francisco, said. "This all-new experience for guests to the Winchester Mystery House will be both a physical visit and a great example of 'theater of the mind' where your imagination is coerced to fill in the blanks to even more frightful effect." For nearly 100 years the Winchester Mystery House has stood as a testament to the ingenuity, persistence of vision and lore that surrounds its namesake, Sarah Winchester (heir to the Winchester Repeating Rifle fortune). A true pioneer who crisscrossed the United States via steam train many times during the waning days of the "wild west," Sarah Winchester lives on in legend as a grieving widow who continuously built onto her small farm house to appease the spirits of those killed by the guns manufactured by her husband's firearms company. Additional information may be found at WinchesterMysteryHouse.com. The Winchester Mystery House is located at 525 S. Winchester Blvd. in San Jose, California, between Highways I-880 and I-280, and is open daily to the public and group events. Additional information can be found WinchesterMysteryHouse.com, Facebook and Twitter.